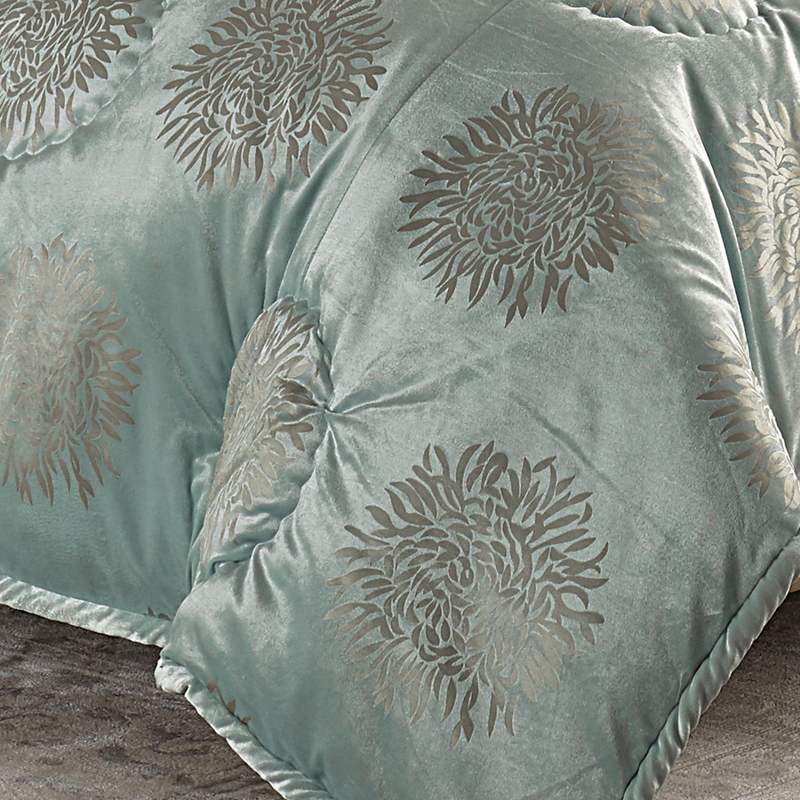 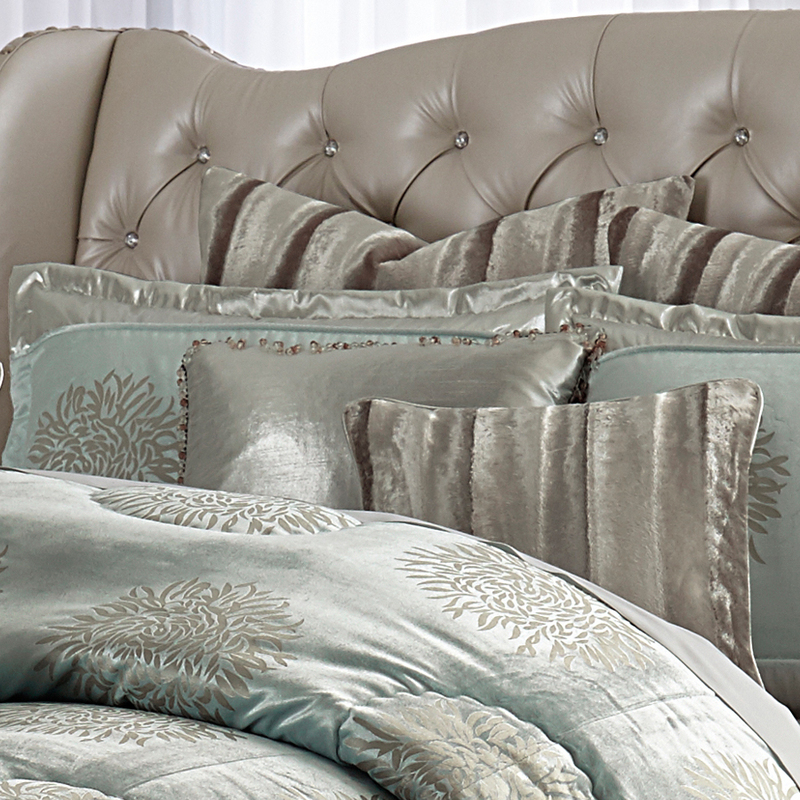 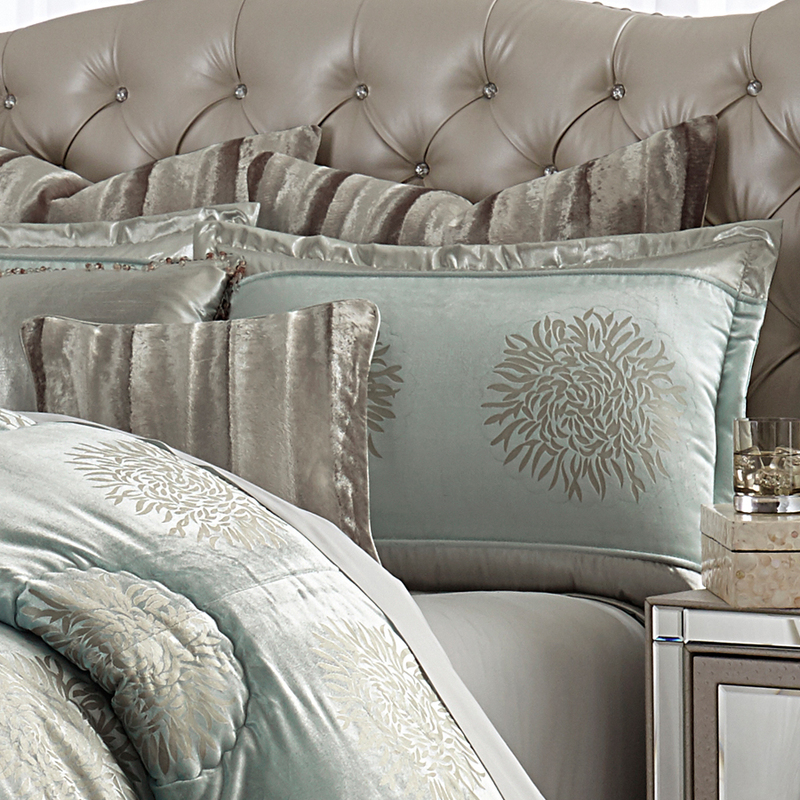 This sophisticated bedding collection features an exquisite blend of ice blue and silver and endless texture. 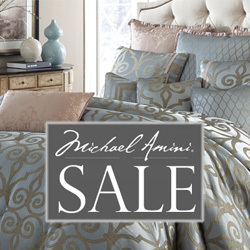 Michael Amini Signature Bedding Designs offer the best quality fabrics and trims with great details to fine stitching. 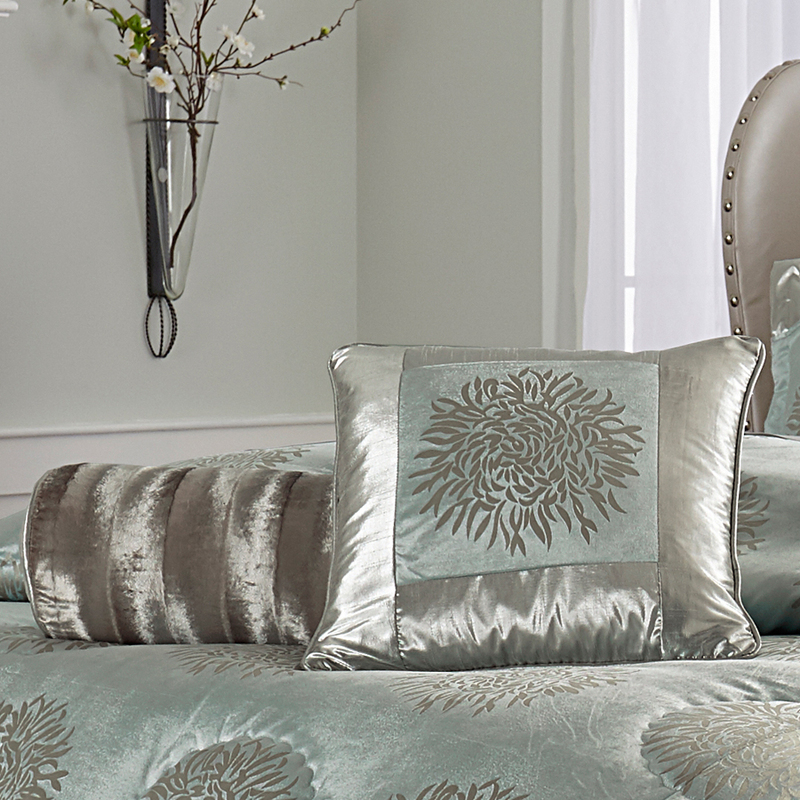 One of the things we love most about Michael Amini bedding is the ability to get gorgeous, upscale bedding and a generous assortment of decorative pillows all together at one fantastic price. 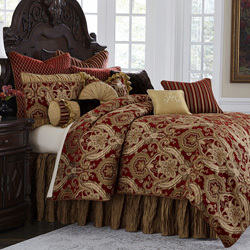 • The Michael Amini Regent is considered a special order item.